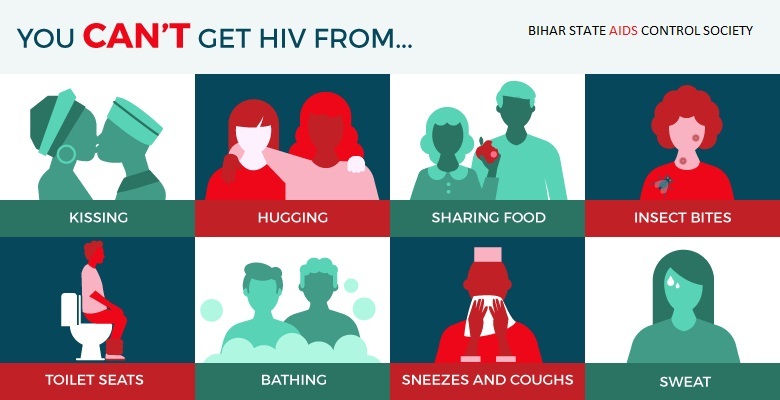 Bihar State AIDS Control Society envisions a state where every person living with HIV has access to quality care and is treated with dignity. Effective prevention, care and support for HIV/AIDS is possible in an environment where human rights are respected and where those infected or affected by HIV/AIDS live a life without stigma and discrimination. BSACS has taken measures to ensure that people living with HIV have equal access to quality health services. By fostering close collaboration with NGOs, womens self-help groups, other government departments, corporate/private sector, positive people's networks and communities, it hopes to improve access and accountability of the services. It stands committed to building an enabling environment wherein those infected and affected by HIV play a central role in all responses to the epidemic at state, district and grassroots level. We at BSACS believe that people need to be aware, motivated, equipped and empowered with knowledge so that they can protect themselves from the impact of HIV. We confront a stark realty HIV can happen to any of us. Our hope is that anyone can be saved from the infection with appropriate information on prevention. 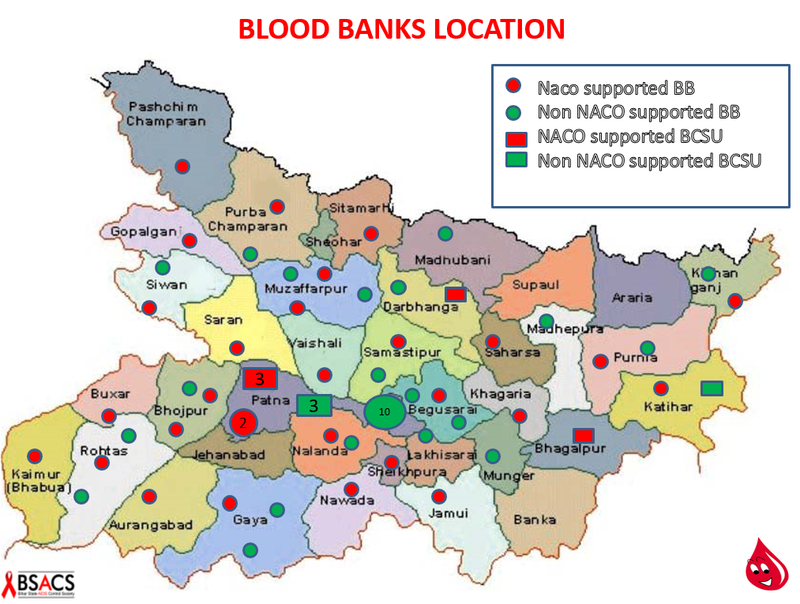 BSACS is built on a foundation of care and support, and is committed to consistently fabricate strategic responses for combating HIV/AIDS situation in India. Voluntary Blood Donation camp will be organized by Maa Vaishno Devi Sansthan on 30.09.2018 at S.K. Memorial Hall Patna. Voluntary Blood Donation camp will be organized by Marwari Yuva Manch on 19.08.2018 at Muraka Compound, City Chowk, Patna City, Patna. Voluntary Blood Donation camp will be organized by Marwari Yuva Manch on 19.08.2018 at Muraka Compound, City Chowk, Patna City, Patna. 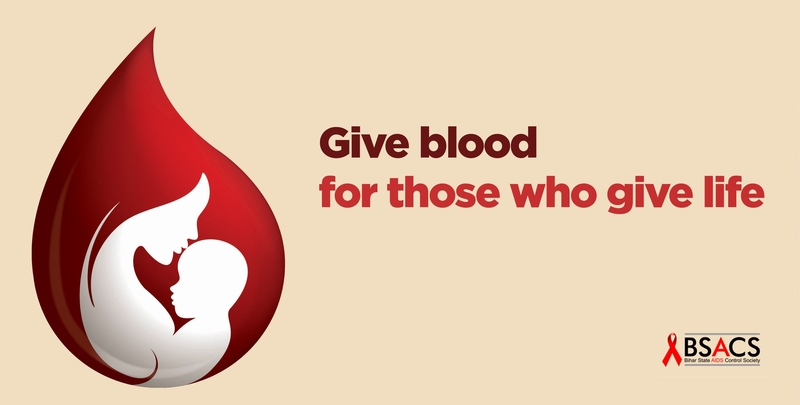 "BE THERE FOR SOMEONE ELSE"
Voluntary Blood Donation camp will be organized by Maa Vaishno Devi Sansthan on 30.09.2018 at S.K. Memorial Hall Patna. "BE THERE FOR SOMEONE ELSE"